Neon Colours, so that you might get a good bargain on Neon pieces in the sale. Yes, another trend from the eighties is reemerging. I love this trend. It is an easy way to trend up some basic clothes from the closet. I especially love the combo of a Neon Colour with black. But you have to be prepared to get some attention in Neon Colours. 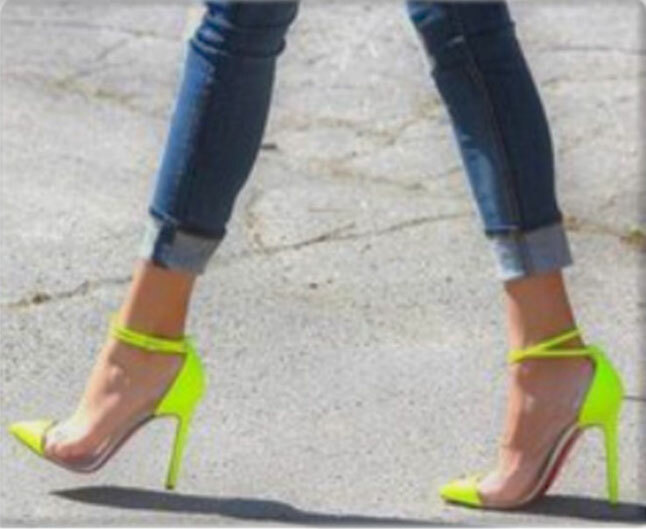 If you're are not quite ready for so much attention, I would start with a neon-coloured bag or a pair of sandals and then work your way up to a shirt or even a dress. Here are some inspirations on how to wear the Neon Colour Trend. Do you love this trend as much as I do or will you pass on it?